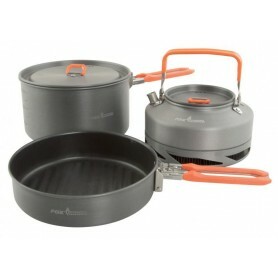 Cooking & Camping There are 18 products. Hard anodized 'eazi-clean' coated aluminium. Perfect 'two cup' 0.8L capacity. 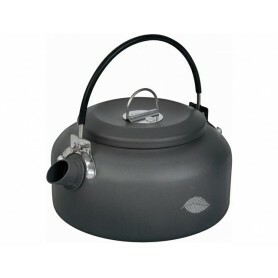 Perfect 'four cup' 1.6L capacity. 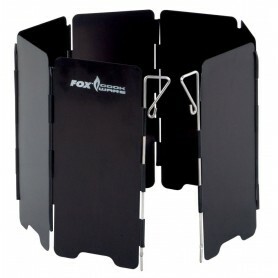 The Sirocco by Go System is a wide footprint stove that comes complete with a separate wind shield. 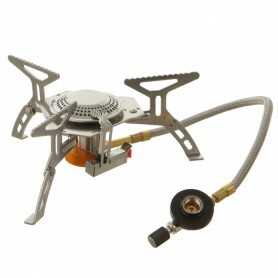 It features a powerful burner with a precision flame control and auto-start ignition. This ignition operates through a braided hose and connects to a Go System EN417 cartridge. 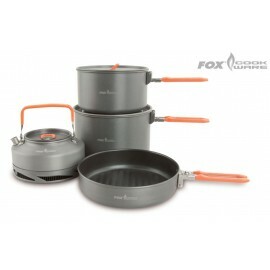 Within the 3-Piece Medium Cookset, you will receive a frying pan, medium saucepan and a 0.9l Heat Transfer Kettle. 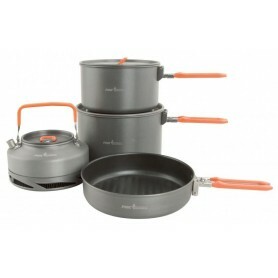 The pans feature durable folding handles to allow them to be packed away in a compact manner with the saucepan sitting inside the frying pan and the kettle inside the saucepan. 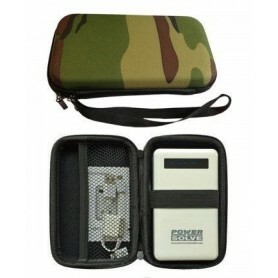 The Cookset also comes supplied with a drawcord mesh carry bag. 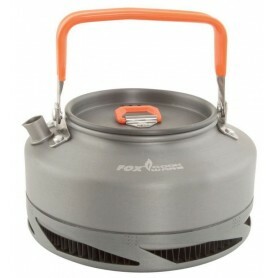 Fox recognised that one particular piece of technology from the camping industry could be really appreciated in the angling market, in the shape of the impressive Heat Transfer grid that can applied to the base of a kettle to make it more efficient.